So, what went wrong? First was the crack up after the betas. One selling point was the international flavor of the game that one could play with players around the world but Sanrio Digital did not see it this way. Their strategy was to break up the game it regional servers. Some like Indonesia released the partially finished game while North America under Aeria Games delayed release. 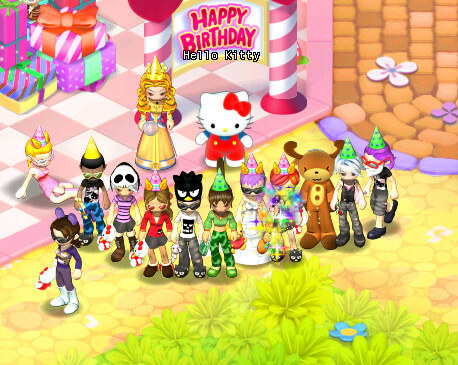 After dragging their feet, Aeria Games released the game on in the falloff 2009, just in time for Hello Kitty’s birthday. Aeria Games was not a good fit for HKO. Their demographic was more towards young male gamers. 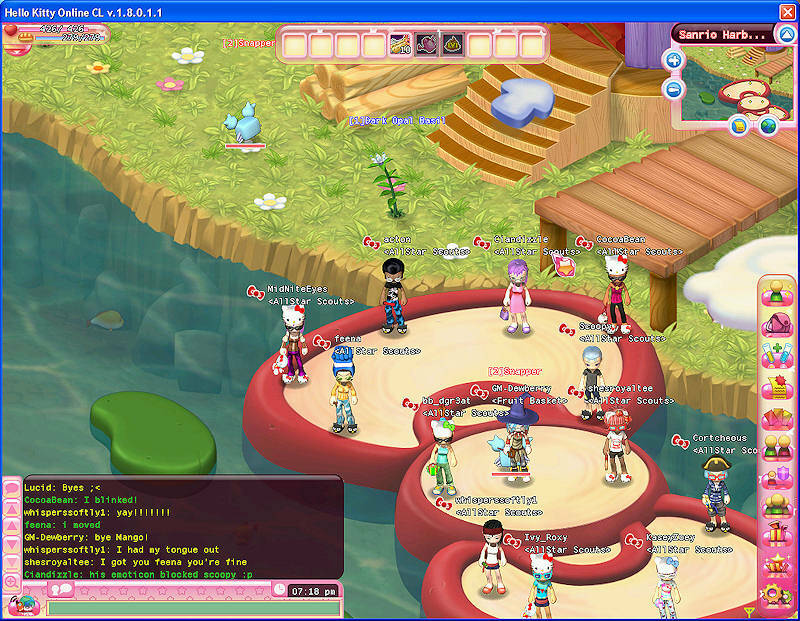 In addition, Hello Kitty Online players experienced trolling and harassment by other Aeria users. Rumor control had it that there was conflict between the Game companies and Sanrio Digital over release schedules, and who was responsible for promotions and updates for the game. Sanrio Digital announced they were transitioning the game back to Sanrio Digital in Jun 2010. This led to the second major issue: The Patch of Doom. 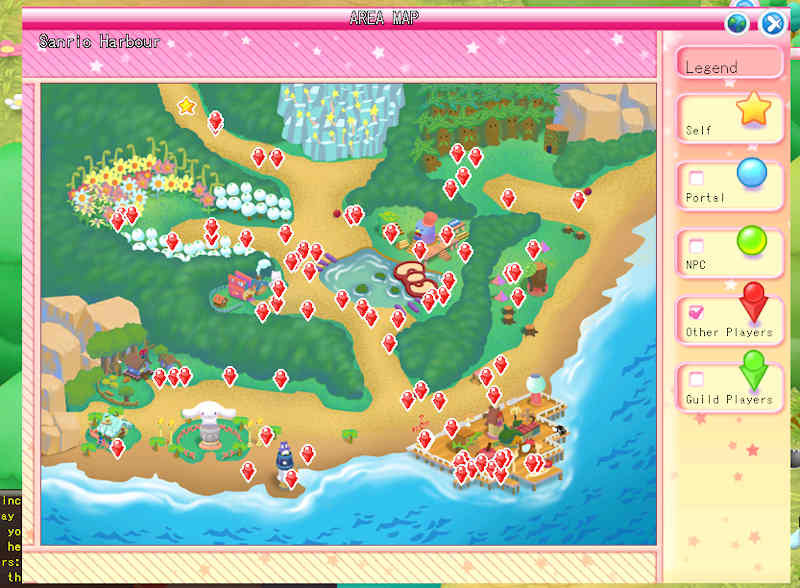 The new patch, released in March 2010, transitioned the game back to Sanrio Digital, also had changed the mechanics of the game, making the monsters harder to knock out and remove some popular rewards. Another issue was the undeveloped game areas such as the social networking, and guilds. Many players burned though the game, and then got bored when there was not much to do after the main quest. New quest features like seed quest were buggy. Sanrio Digital announced a DVD version of the game in 2010 but due to delays, the game missed the crucial Christmas sales. By the time it came out, a new threat casual PC gaming, in my opinion, came in the way of console gamming. From 2010 this began to languish. The Sanrio promised release of the Tokyo city quest, while players can see it on the world map, was never released. Instead, we gotten a stripped down New York quest. In 2011 there was the Holiday blowout where participants receives $100 in Sanrio Cash. This was a sign to me that the game was over; you do not just give away $100 of product. The final quest was the Valentines Quest the following year. Following the Valentine’s event, things slow down . Users left the game and eventually the Game Masters where not active on HKO. The game eventually became like a ghost town but everything was still working. A huge hit was the 2016 hacking incident where many Hello Kitty Town and HKO accounts wee compromised. The fix disabled the item mall feature of Hello Kitty Online. The last time I was able to log in was around August 2017. At least I was able to take one more thing off my bucket list by replacing my starter house on the farm. While as I sad before the game had potential, but was squandered by mismanagement by Sanrio Digital, Hello Kitty Online still lives in elements of various mobile games. For example, Hello Kitty Blocks, a connect three game uses the music, furniture, and housing system from Hello Kitty online. Hello Kitty Food town, a restaurant game, uses a strip down farming system from HKO to grow food for recipes for the café. So let me end with a short wake for HKO. Let us lift up or glasses and remember it was fun when it lasted. 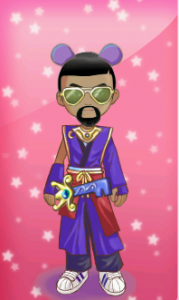 I also like to give shout out to my former Sailor Scouts Guild members. This entry was posted in Hello Kitty, MMORPG, Sanrio and tagged Closed gares, Hello Kitty MMORG, Hello KItty Online, HKO by Actonrf. Bookmark the permalink.